Welcome to the second segment of the 5 Minutes With author interviews! Today we’re hearing from David G. Johnson. 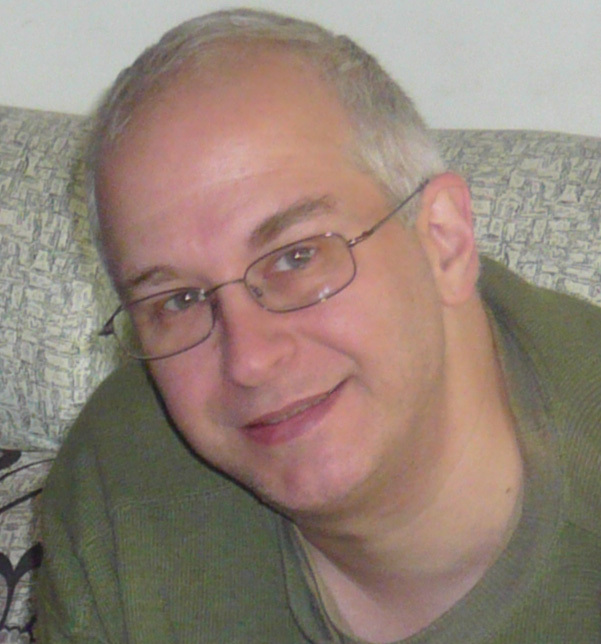 I “met” David online on a writers’ FB group that I joined, beta-read his noir detective novel The Woman in Blue, and recently just finished reading the three books in his Chadash Chronicles series. I found them especially fun, because they reminded me a lot of the Drizzt D’Urden books by R. A. Salvatore. I have been a fan of Speculative Fiction since the time I could read. I always enjoyed telling stories and creating worlds. At age 39 I became a Christian and for a while went through a difficult time figuring out what to do with my drive to tell great fictional stories and my calling to speak God’s truth. I stopped writing for several years while I prayed for guidance. Finally the answer came, and my books are really a manifestation of the answer to that prayer. They blend great Fantasy/Sci-Fi storytelling with a background and foundation of biblical truth. My biggest selling series is called Chadash Chronicles, and the Omnibus Edition of all four Chadash related books (the main trilogy plus a prequel novella) will be on sale December 10th-15th for just 99c on Amazon. It would be a great chance to get introduced to the world I have created. If readers like C.S. Lewis and J.R.R. Tolkien, they will fit right in with the world of Chadash. I actually have a friend who is a medical doctor. A few times I have had to send him questions about poison effects or critical wound trauma. Fortunately I prefaced it with a heads up that this was writing research but he said if he didn’t know I was a writer he would be very worried about me. This is the view from my office. 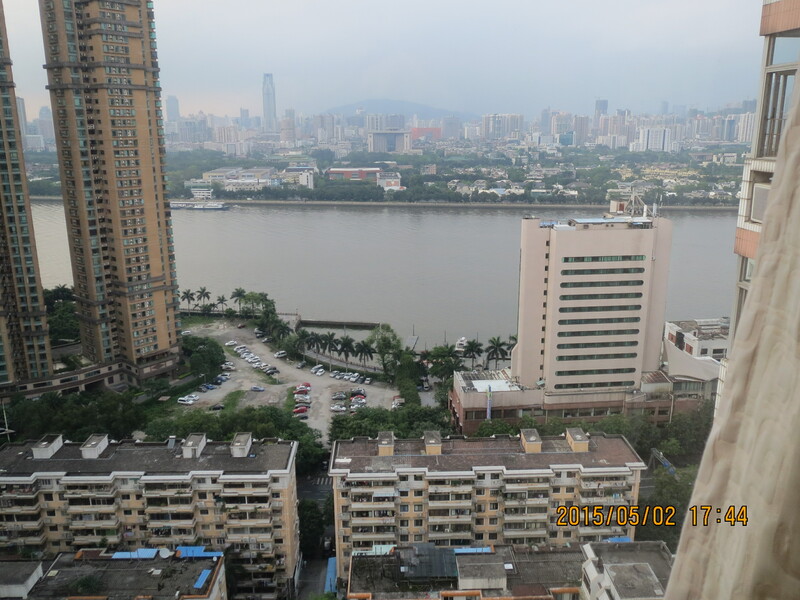 I live in Guangzhou, China and my family and I are over here now long term as living witnesses of our faith. I love being able to take a quick break and look out to watch the boats going up and down the river. It is very soothing. I have always loved boats, and God has provided an amazing place for me to write and keep something close by that lifts my spirits and keeps me going. I am very much a “zone” writer. I can’t just sit down for a few minutes or an hour and hammer out a story. I have to reread at least the last chapter I wrote to get back into the mindset of the story. Only then can I pick it up, and I hate to put it down. So I have one day a week I try to set aside as my “writing day”. My wife understand, we don’t schedule things that day if possible, and she generally checks on me to make sure I have food and water nearby, but once I am in the “zone” I only stop every couple of hours for a brief stretching break. It probably is not a pattern I could recommend to anyone, but for us, as busy as we are with everything else here, it is the only way I can function and still get any writing done. Chadash Chronicles is where it is for now, but it is far from done. I just have a couple of projects I want to do before I return to Chadash. Fear not, I have at least eight more Chadash books already roughly outlined and I know how they will fit together and the order they will come out in, but first I am dipping my toe into Science Fiction and then non-fiction. My current work in progress is going to be part of a series called Shattered Galaxy. The book title is Star Wolf. Shattered Galaxy will be a different type of series as it will be more episodic novels like the Star Trek stories. It won’t be necessary to read them in any particular order, but they will be in the same setting and many of the stories will be centered around the crew of a ship called Star Wolf (hence the first book’s name). After Star Wolf I have been working the research for a non-fiction work called China’s Forgotten God. It will be an analysis of the historical, cultural, and linguistic evidence within China that the Chinese people once knew and worshipped the God of the Bible. If the Bible is true in what it says, we all came from one people who all once knew the one true God. Ancient Chinese history and early writing bears that out. I plan on this work being useful for Americans who have Chinese friends and neighbors they want to share with, but I also will be seeking a Chinese Christian professor to help in getting this work translated into Chinese. It will be a unique writing challenge. After that, I plan to return for another Chadash set trilogy called Wizards War. We will see the heroes from the first trilogy returning as well as many minor characters who were introduced stepping up and taking a more central role. These books will also be unique in that I am calling Wizards War a “triad”, not a trilogy. My hope is to write them in a way that the order of reading won’t matter. They will be three simultaneous adventures with a common starting point, but the large group of assembled heroes will split into three separate teams, and thus each of the books will deal with one of these simultaneous missions. It will be a unique challenge, especially in how to end the books without giving away the ending of the others. I probably will have to do a final Wizards War novella to tie all three stories together with a final wrapup. Check out his books on Amazon! 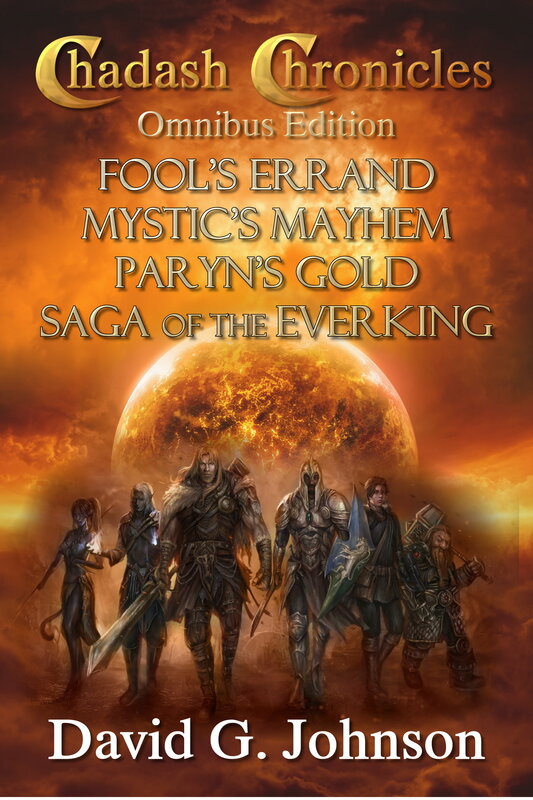 And as a special bonus, David is currently running a promotion where you can get the omnibus edition of the Chadash Chronicles (three full-length novels plus the prequel) for only 99 cents! It’s a total steal and IMO totally worth it–these books are clean enough for preteens/early teens to read, but even older fantasy fans would completely enjoy them.